© DETTA-DESIGN 2008 Dear Visitors, to your attention are offered development of marks and the trade marks, created for last 10 years, with 1993 for 2002, from total to much more our 100 projects of corporate identification for small, average and large business, since 1982. Works are placed not in the chronological order, and grouped on themes or similarity of composite decisions. The mark is combined with a logotape and makes a single whole. Construction of a mark is based on three assotiayions: 1) a symbol of the man's beginning - expression of force and nobleness; 2) the geometrical meander - testifies to communication with antique tradition of worship culture of a sound body; 3) a letter "a" - the initial letter in the name of club. With the purpose of amplification of semantic accent on the name, in the given mark the image of the madonna with the baby (the Mother of god with the Christ) as a symbol of gentle care of care of mother about the child is used. The mark and all firm style are executed in a contrast black-and-white combination to emphasize the basic idea in carried out projects -- laconism and limiting expressiveness of the form which opens essence of the trade mark. As basis for diagrams of a mark stylization of an abbreviation of the English spelling of the full name of firm has served. Basis for stylization of a service mark is the letter "F" (initial in english variant of a spelling of the name of firm). The letter "F" is formed with three strips different are long, which symbolize sliding wheels of different diameter (or traces of protectors of wheels). For giving the greater dynamism of the general composition all three strips are slightly bent. Testing of various variants of an emblem, give participants Ukrainian competition have convinced jury that only laconism in a combination with dynamical drawing gives necessary impression. For us a source of inspiration was an emblem of "League of Champions" UEFA and earlier made emblem of "CSCA-KIEV" (1997). As appeared such approach has resulted in a victory in competition. In an emblem dynamics of exact, elastic impact on a ball is reflected. The emblem also symbolizes prompt growth of recently created professional football league. The person has learned to use an atomic energy in the purposes, but it till now is not capable without special knowledge and the equipment to guarantee safety of productions, with it connected. The rigid control of nuclear safety is incured by firm " EMAN " (the name of the enterprise is formed from a designation of a unit of measurements of nuclear radiation). At a service mark there are elements of the Ukrainian, Spanish and international symbolics. The plumage of the flying pigeon (at the request of the Customer) is painted by colors of the Spanish flag - the main founder of the company. 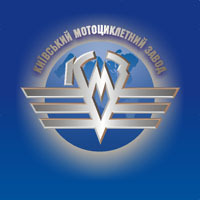 Mark of the firm engaged in import of automobiles and spare parts to them, and also automobile accessories and autocosmetics. In the centre of a mark there are two letters "N" -- the Stranger and Stranger (light and dark - in and ian) which were bound in a complex(difficult) pattern; on external perimeter the signature (in this case) in Spanish is located: AGENCIA DE CONTACTOS. The basic three kinds of activity of agency are tourism, graphic arts industry and advertising. These preconditions have found the reflection in a mark (three sheets, проростающих from bowels of the Earth). In a mark the essence of activity of firm -- transportation some natural "territory" on pipes of liquid mineral oil is expressed. In turn pipes are bent as two letters "S" and "T" (initial letters of words of which the compound name of the enterprise consists; latin variant of a spelling). The trade mark represents a composition from the letter "M" above which there is a symbol reflecting following sense. Reminds a polygraphic label for exact overlapping several colors at a seal, simultaneously symbolizes a small time interval (speed) for which work is carried out. In compositions with the letter "M" the symbol transforms her into a silhouette of "printer man" in baseball cap. The mark and all style of festival (registration of an input, diplomas, cut-away etc.) symbolizes the Mark the palm on which lays a flower which is were vaguely similar to the form of heart.